Ever been tempted to jump on board the latest fad diet to drop some pounds quickly? Sure, you might drop a dress size or two pretty quickly for that weekend event, but the approach often comes at a big cost. Cranky, tired, and fore sure going to gain those pounds back, and then some! You might want to think twice before you jump into the next fad diets to lose those 5 pounds. Risky and short lived, go for results that last instead! 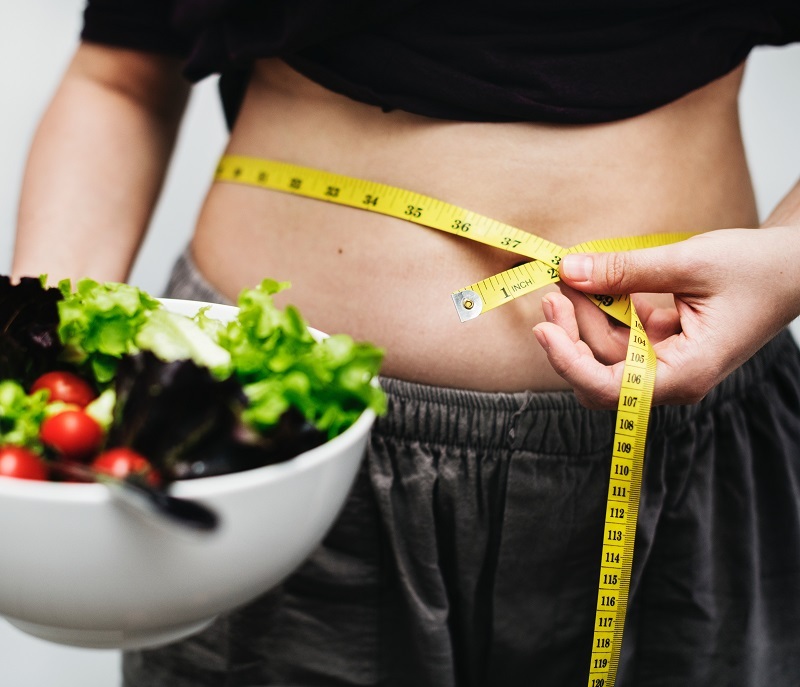 Intense fad diets that significantly restrict your calorie intake may lead to some weight loss in the short term, but they can damage your health in the long run. Especially if you jump from fad diet to fad diet looking for the next best easy fix. Here’s why slow and sustainable weight loss wins out over a fad diet any day. The lack of calories goes hand in hand with a lack of nutrition. When you’re taking in very few calories, it’s likely you won’t get the nutrients you need to stay healthy. This becomes an even bigger problem if you’re following a restrictive diet that cuts out certain food groups completely. For good health, you need to be getting nutrients from a range of food groups: Protein, Carbs, Fats in the right amounts for starters. It’s not hard to see how fad diets can impact on your wellbeing. A low calorie intake affects your energy and leaves you feeling exhausted and weak. Our bodies need a minimum of 1200 calories a day to function well. Fewer calories may leave you feeling dizzy, difficult to concentrate and remember things. You may look great for the party, but actually too tired to get there! 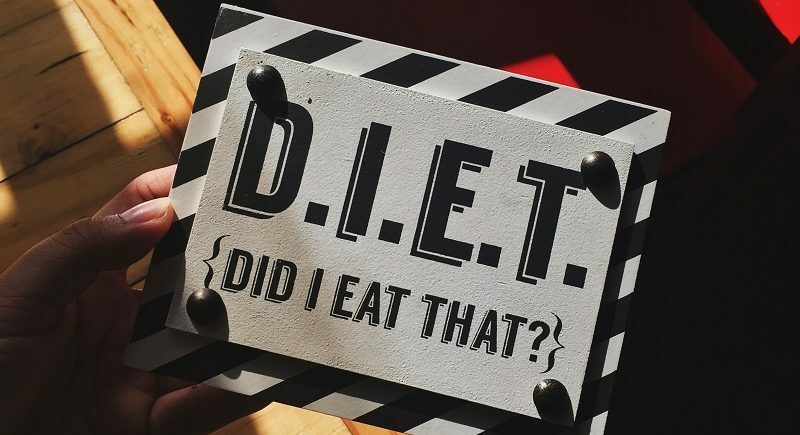 Think of it this way: fad diets mean that you’re not taking in nearly enough calories to keep your body functioning properly. Doesn’t sound quite so good now, right? So now your tired, and hangry all the time. Guess what else happens? Your immune system gets depleted. Not only does balanced nutrition feed your cells, it keeps them in germ fighting mode. Restrictive fad diets welcome the germs to have a party in your depleted immune system. No Bueno. Often what happens in the early days of a crash diet is dehydration masked as weight loss. 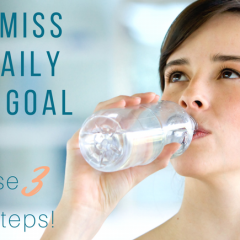 Throwing off a healthy eating pattern often rolls over into less water intake, and over time will lead to dehydration. You want to make sure that you hit your water factor every day (read about it here), regardless of what eating plan you are on! Ironic, right? From a weight loss perspective, Fad diets make it tougher to keep losing weight after the initial drop, and for it to stay off afterwards. Fad diets are rarely sustainable for any length of time. This is why most people find that they put all of the weight back on (and often more on top). Fad diets are high in deprivation low on reward. When the plateau hits, frustration sets in and old eating habits return. They cycle continues. 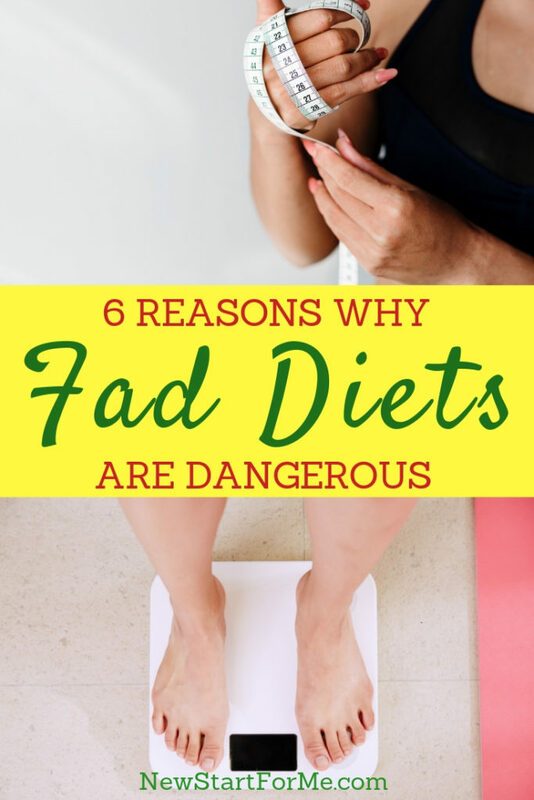 5 // Fad Diets Can Impact Your Heart. Fad diets can damage your heart. 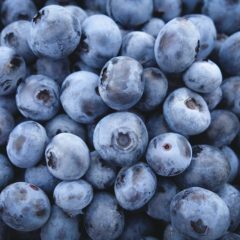 According to experts, they can damage the blood vessels and make you more likely to experience cardiovascular problems, including blocked arteries, blood pressure issues, and heart attacks. The lack of consisten and balanced nutrition can also lead to deficiencies in key electrolytes linked to a healthy heart rhythm such as potassium, sodium and magnesium. 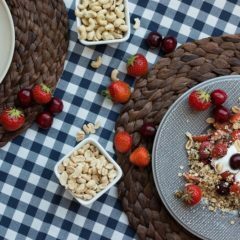 Given the restrictive nature of fad diets, most people who follow them spend a lot of time thinking about … food! Caloric intake is usually restricted, balanced nutrition not on point, and cravings as a result of the imbalance leads to some serious HANGRY situations. All day and all night. Here’s the thing, slow and steady weight loss doesn’t make for fantastic headlines, BUT it does make for epic before and after pictures. And let’s not forget consistent sleep patterns, balanced moods, increased energy and an overall feeling of wellness. Healthy, sustainable weight loss is 1 to 2 pounds per week through a combination of 80% nutrition, 20% fitness and 100% managing your mind. This is our foundational philosophy at NewStart and it’s delivered real results to real people. We’d love for you to check it out. Join our NewStart Insiders Facebook group and learn more about what NewStart has to offer you!